René Boissevain is a force of nature. Not many people’s CV includes tobacco grower, mouse trap designer, café owner, sales rep, guinea fowl breeder, tourism operator and bird nesting materials farmer. René’s does, and this Indiana Jones character of Tropical North Queensland is the first to admit not all of his business ideas worked. But his one big idea did. René Boissevain built singlehandedly an elaborate series of caves and grottoes behind a humble shop front on the Atherton Tablelands. Now this business attracts hundreds of thousands of visitors a year who are gobsmacked by the cave system, and the riches it contains. 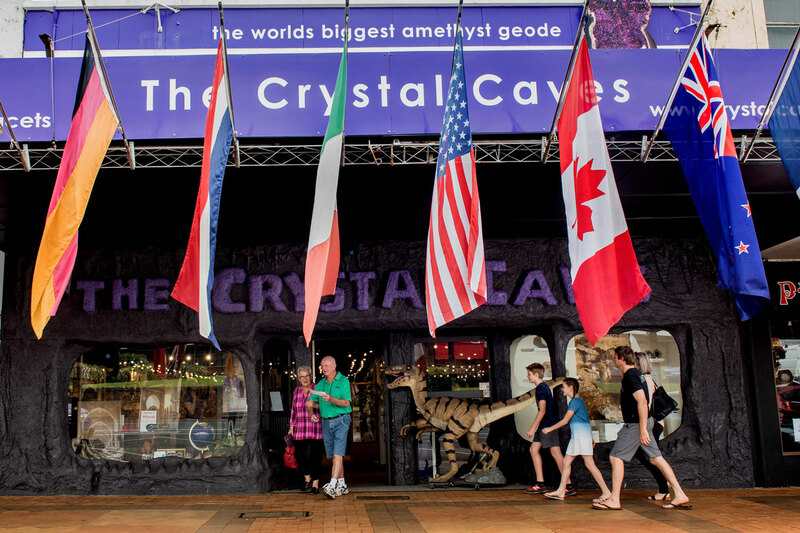 The Crystal Caves in Atherton are René’s masterpiece where he shares his passion for natural crystals, minerals, gemstones and fossils with the world. He built the 300 square metres of tunnels and caves as a showcase for his eclectic collection of the earth’s bling; amethyst geodes, rose quartz and pyrite cubes sit alongside dinosaur bones and 385-million-year-old marine fossils. Rene´ financed the project with his own house as collateral and now has 600 items in the vast network of corridors and caverns which – kitted out with a miner’s lamp – visitors can explore at will. The value of the collection is in the millions, but for Rene´ the payoff is seeing kids and adults get the same buzz as he does from the earth’s treasures. And it’s a hands-on operation. “The crazy thing is I allow people to touch. That kind of exuberance – plus his gung-ho style – saw him recently named one of the “must-meet characters” in Queensland. It was in 1987 that Rene decided to share his collection with the world and built his first cave. He put his own house up as collateral and created without the help of architects, designers or builders. Since then he’s added four more chambers, gone through 4500 egg cartons for soundproofing and ended up with a tourist attraction seen by more than a quarter of a million people. Rene´ has undertaken some mammoth missions to get what he wants. They include pursuing the Empress of Uruguay (a 2.8 tonne amethyst South American geode, not royalty) and dragging, pushing and rolling a 64kg agate nodule loaded with crystals back to camp from an Australian outback site which took half a day. 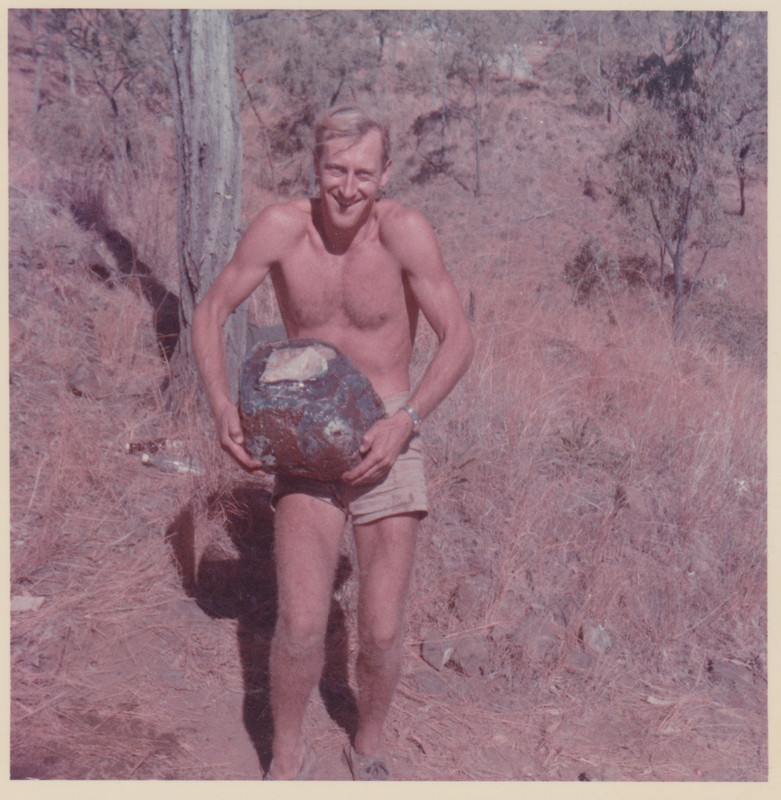 Caveman Rene has lived on the Tablelands since emigrating from the Netherlands in the early 1960s when he fell in love with the nature and wildlife of the region. He and his wife Nelleke live on the shores of Lake Tinaroo in a Balinese Hut. He has planted his garden to attract the birds and butterflies of the Tropics and his natural swimming pool is a haven for animals. Rene is retired now and his daughters Cecilia and Ghislaine run The Crystal Caves. He spends his time cutting and polishing agates he has from his former fossicking days and he’s an avid photographer and dog walker. He loves to travel but Atherton, with both natural and man-made treasures, is still his favourite place in the world. Closed On New Year’s Day, Good Friday, Christmas Day, Boxing Day. © 2019 The Crystal Caves.